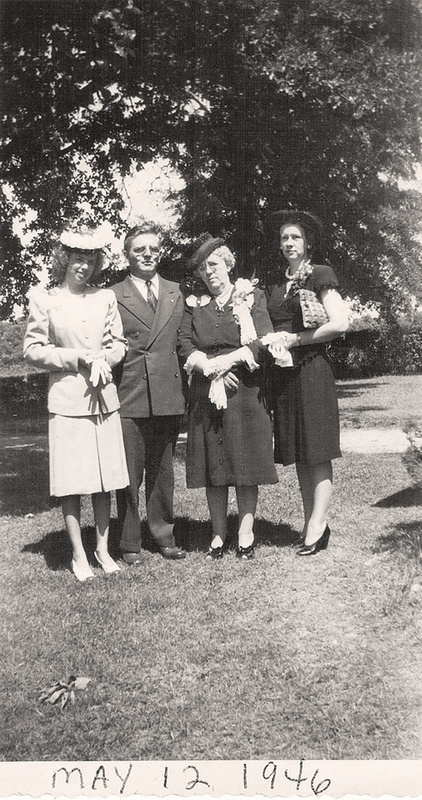 The wedding of Harry Anthony Murosky & Ann Marie Edens was held 12 May 1946 at St. Francis de Sales Catholic Church in Lumberton, Robeson County, North Carolina. The couple married after Harry returned from his service in the Army during WWII. Harry Anthony Murosky was born 21 March 1921 in Erie, Erie County, Pennsylvania. He was the son of Anthony Harry Murosky, Jr. and Helen Tillie Bukowski. Ann Marie Edens, the daughter of Allen C. Edens and Hattie M. Allen, was born 12 May 1924 in Lumberton, Robeson County, North Carolina. Hattie M. Allen (Ann's Mother), unknown woman. 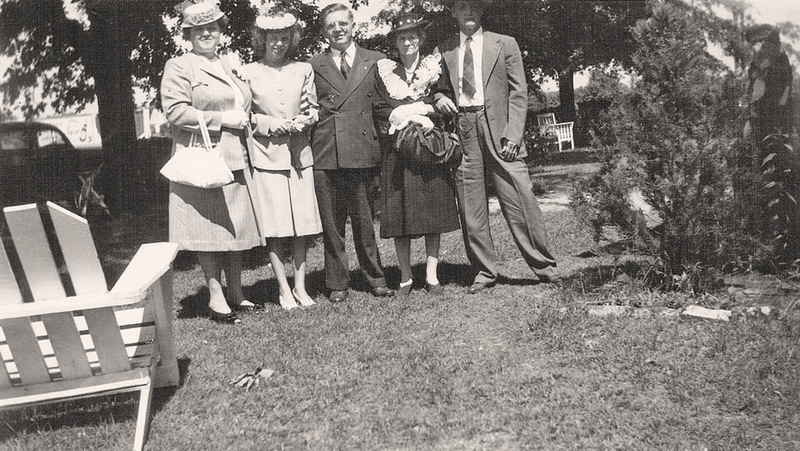 (Left to Right )Helen Tillie Bukowski (Harry's mother), Ann Marie Edens, Harry Anthony Murosky, Hattie M. Allen (Ann's Mother), Allen C. Edens (Ann's Father). The original photographs are in the care of Ann Marie Edens. The photographs have been shared with permission. Photographer Unknown. Editing and digital restoration by Michelle M. Murosky. Helen Tillie Bukowski is my great grandmother. Harry Anthony Murosky is my Great Uncle. Harry's brother Arthur is my paternal grandfather.